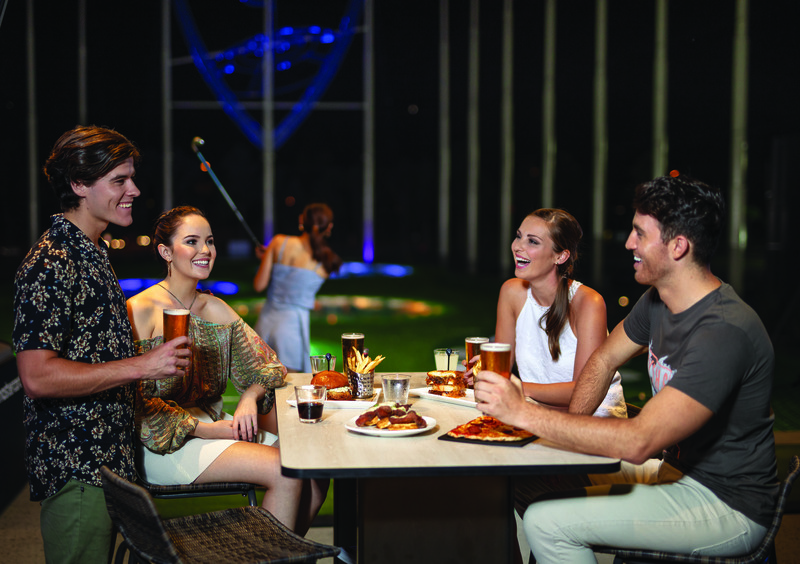 Topgolf is an entertainment venue on the Northern Gold Coast offering play, food, drink and music. Guests can hire a golf bay by the hour, with each bay holding up to 6 players or 8 people total. 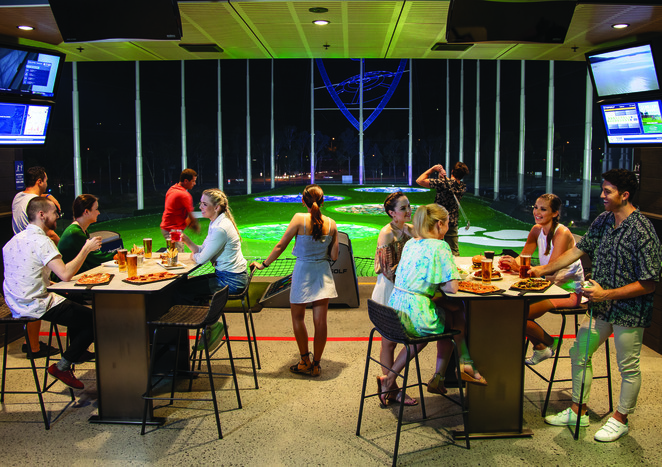 Whether or not they're playing, guests can enjoy a chef-inspired menu and top-shelf drinks from the Topgolf menu. In an effort to encourage families and millennials to visit throughout the Easter school holidays and Easter long weekend (we're open every Public Holiday! ), Topgolf is running a golden ball competition. Hundreds of balls will be placed throughout Topgolf's ball dispensers from the 6th to the 22nd of April, and each time a guest dispenses a golden ball, they'll receive an instant prize. Prizes will be anything from retail items such as caps, drink bottles or premium golf balls, through to food and beverage items and even gift cards from Topgolf and Drummond Golf. There are hundreds of prizes up for grabs over the two weeks and anyone playing Topgolf and using a Topgolf Lifetime Membership is eligible to win! There will be plenty of fun for the little ones too, with an Easter Colouring Competition, Easter Egg Hunts and even the Easter Bunny making an appearance. 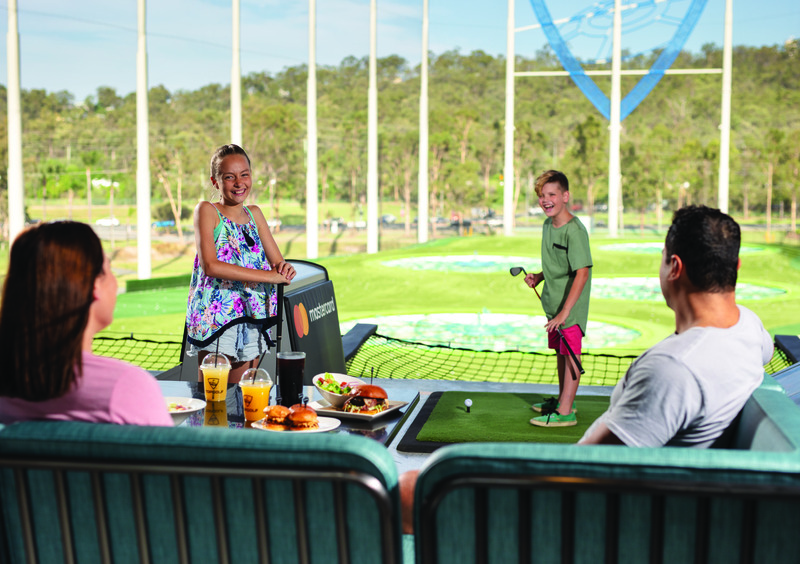 Topgolf is the place to be these Easter school holidays. Even if you've never golfed before. 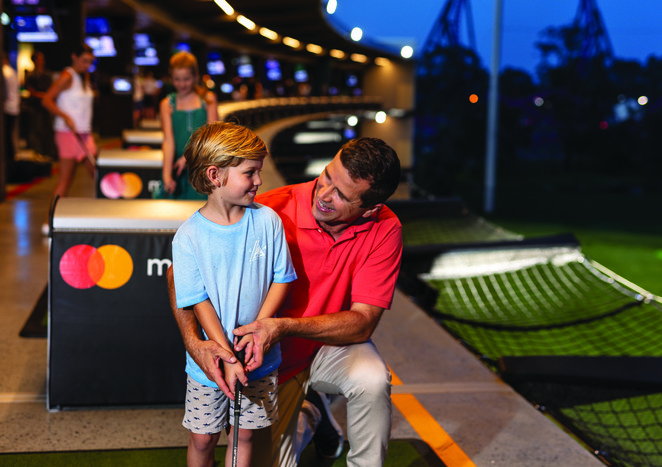 Come down and find out why Topgolf is fast-becoming one of the Gold Coast's best attractions! Find out more at topgolf.com.au/easter. For all the latest follow Facebook, Twitter and Instagram. Topgolf Gold Coast is situated right between Village Roadshow Studios and Warner Bros. Movie World in Oxenford on the Gold Coast, Queensland. Topgolf offers a shuttle, servicing the local area, Surfers Paradise and Broadbeach. Click here to book your trip. Take Exit 60 on the Pacific Motorway or contact Translink for public transport information.